Beta 2 is Here, Help Test the Upcoming Release! The ownCloud contributors have started the end sprint to ownCloud 9.0. Feature freeze went into effect last week and the focus is now on stabilizing the code base for release. Do you want to guarantee a smooth 9.0 upgrade for yourself and 8 million others? This is the time to join the team and make a difference! 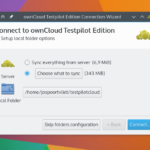 You can grab the beta from the testing link on the ownCloud installation page. ownCloud contributor Daniel Hansson has updated his ownCloud VM with beta2 – you can grab it and take it for a spin from his site. Areas which can use particular attention are the new updater and the upgrade process from 8.2 to 9.0 in general, the refactored sharing code and the new metadata abilities like tagging and commenting. To make sure your ownCloud release will upgrade smoothly to the new version, it makes a lot of sense to make a copy of your ‘production’ environment and try to upgrade that copy to 9.0 Beta 2. Any issues you bump into you can report on github so we can address them before the release and make sure your upgrade happens without a hiccup! It would also help to look particularly close at migration of apps, like Calendar and Contacts. There are quite some changes in those and, as user data is the most important thing in the world for ownCloud, we have to make sure nothing goes wrong with the update! To exercise sharing, be sure to check if your existing shares, re-shares and re-re-shares still work properly. You might notice some minor changes in behavior of the shares and you sure should notice that even with lots of complicated (re)shares, everything is faster. After all that, try to break things! Share, re-share, re-re-re-share and back to the first user, unshare the original and see what happens. We’ll fix what you find, deal? Metadata wise, you can comment on files. If you do that on a shared file, the other person should see the change in their activity stream, while the share action itself should trigger a notification. Check if that all works smoothly, and again, can you break it? Find more information about testing in our documentation. 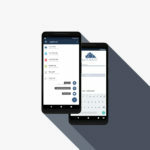 Whoever breaks ownCloud most and files the most bugs will get a free ownCloud download  Kidding, ownCloud is and will remain free for everybody – but whoever tests the most is most likely to get a ownCloud 9.0 which does what he or she wants, perfectly, at every step! Help Test the Upcoming 2.0 Desktop Client Release!